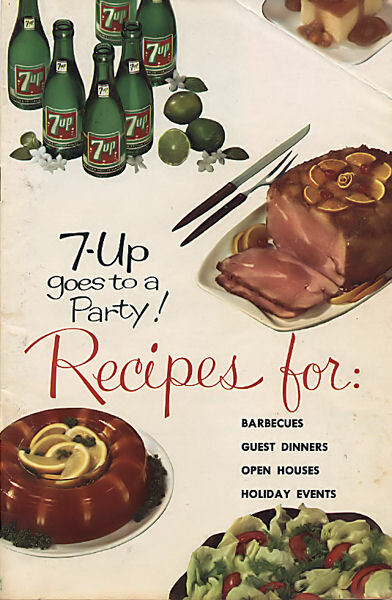 7-Up goes to a Party! 7-Up is not about to be outdone by Dr Pepper. It's a real party animal, that sparkling beverage. 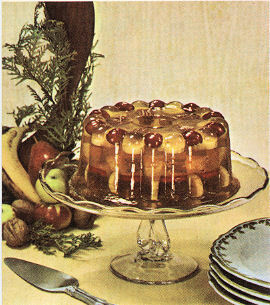 This cookbook dates to 1961. 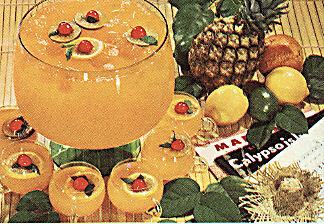 Don't forget the atomic cherry garnish. Heimlich Maneuver optional. Oh, yummy! Symetrically arranged bits o'fruit floating in phglem! Watch out for that banana hding behind the tree. 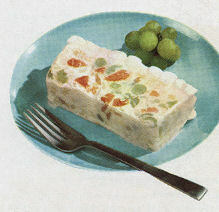 This is what the redshirt ate in the Enterprise canteen just before it rose up to kill him.